Home » The Self » What is Self-Esteem? A Psychologist Explains. That is the message that we encounter constantly, in books, television shows, superhero comics, and common myths and legends. We are told that we can accomplish anything if we believe in ourselves. Of course, we know that to be untrue; we cannot accomplish anything the in the world simply through belief—if that were true, a lot more children would be soaring in the skies above their garage roof instead of lugging around a cast for a few weeks! However, we know that believing in yourself and accepting yourself for who you are is an important factor in success, relationships, and happiness and that self-esteem plays an important role in living a flourishing life. It provides us with belief in our abilities and the motivation to carry them out, ultimately reaching fulfillment as we navigate life with a positive outlook. Various studies have confirmed that self-esteem has a direct relationship with our overall well-being, and we would do well to keep this fact in mind—both for ourselves and for those around us, particularly the developing children we interact with. Can We Help Boost Self-Esteem Issues with Therapy and Counseling? Can You Test Self-Esteem, and What are the Problems with Assessment? You probably already have a good idea, but let’s start from the beginning anyway: what is self-esteem? Self-esteem refers to a person’s overall sense of his or her value or worth. It can be considered a sort of measure of how much a person “values, approves of, appreciates, prizes, or likes him or herself” (Adler & Stewart, 2004). According to self-esteem expert Morris Rosenberg, self-esteem is quite simply one’s attitude toward oneself (1965). He described it as a “favourable or unfavourable attitude toward the self”. An important note is that self-esteem is not fixed. It is malleable and measurable, meaning we can test for and improve upon it. Self-esteem has been a hot topic in psychology for decades, going about as far back as psychology itself. Even Freud, who many consider the founding father of psychology (although he’s a bit of an estranged father at this point), had theories about self-esteem at the heart of his work. What self-esteem is, how it develops (or fails to develop) and what influences it has kept psychologists busy for a long time, and there’s no sign that we’ll have it all figured out anytime soon! While there is much we still have to learn about self-esteem, we have at least been able to narrow down what self-esteem is and how it differs from other, similar constructs. Read on to learn what sets self-esteem apart from other self-directed traits and states. Self-esteem is not self-concept, although self-esteem may be a part of self-concept. Self-concept is the perception that we have of ourselves, our answer when we ask ourselves the question “Who am I?” It is knowing about one’s own tendencies, thoughts, preferences and habits, hobbies, skills, and areas of weakness. Put simply, the awareness of who we are is our concept of our self. “the totality of a complex, organized, and dynamic system of learned beliefs, attitudes and opinions that each person holds to be true about his or her personal existence”. According to Carl Rogers, founder of client-centered therapy, self-concept is an overarching construct that self-esteem is one of the components of it (McLeod, 2008). Another similar term with a different meaning is self-image; self-image is similar to self-concept in that it is all about how you see yourself (McLeod, 2008). Instead of being based on reality, however, it can be based on false and inaccurate thoughts about ourselves. Our self-image may be close to reality or far from it, but it is generally not completely in line with objective reality or with the way others perceive us. Self-esteem is a similar concept to self-worth but with a small (although important) difference: self-esteem is what we think, feel, and believe about ourselves, while self-worth is the more global recognition that we are valuable human beings worthy of love (Hibbert, 2013). Self-esteem is not self-confidence; self-confidence is about your trust in yourself and your ability to deal with challenges, solve problems, and engage successfully with the world (Burton, 2015). As you probably noted from this description, self-confidence is based more on external measures of success and value than the internal measures that contribute to self-esteem. One can have high self-confidence, particularly in a certain area or field, but still lack a healthy sense of overall value or self-esteem. Similar to self-confidence, self-efficacy is also related to self-esteem but not a proxy for it. Self-efficacy refers to the belief in one’s ability to succeed at certain tasks (Neil, 2005). You could have high self-efficacy when it comes to playing basketball, but low self-efficacy when it comes to succeeding in math class. Unlike self-esteem, self-efficacy is more specific rather than global, and it is based on external success rather than internal worth. Finally, self-esteem is also not self-compassion. Self-compassion centers on how we relate to ourselves rather than how we judge or perceive ourselves (Neff, n.d.). Being self-compassionate means we are kind and forgiving to ourselves, and that we avoid being harsh or overly critical of ourselves. Self-compassion can lead us to a healthy sense of self-esteem, but it is not in and of itself self-esteem. The mention of esteem may bring to mind the fourth level of Maslow’s pyramid: esteem needs. While these needs and the concept of self-esteem are certainly related, Maslow’s esteem needs are more focused on external measures of esteem, such as respect, status, recognition, accomplishment, and prestige (McLeod, 2017). 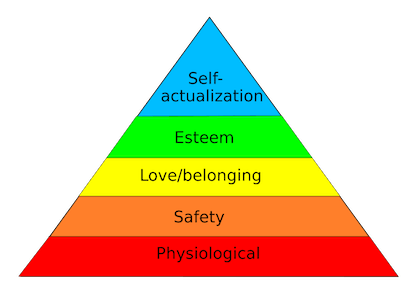 There is a component of self-esteem within this level of the hierarchy, but Maslow felt that the esteem of others was more important for development and need fulfillment than self-esteem. He explained that for one to achieve self-actualization and grow, their need for inner-respect and esteem from others must be met. Seligman makes a great point, as it is important to take his words into consideration when looking at self-esteem. 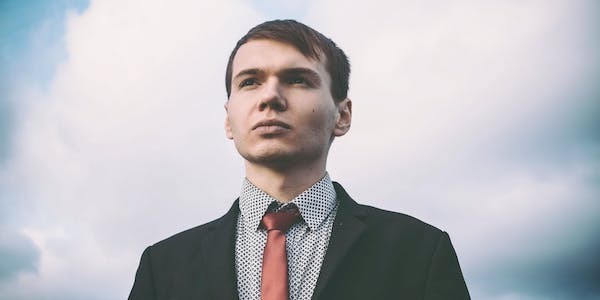 Self-esteem and positive psychology may not marry quite yet, so it is important to look at what research tells us about self-esteem before we construct a rationale for it as positive psychology researcher, coach, or practitioner. There are certain characteristics that distinguish how high someone’s self-esteem is. Examples of these characteristics are being open to criticism, acknowledging mistakes, being comfortable with giving and receiving compliments, and displaying a harmony between what one says, does, looks, sounds, and moves. People with high self-esteem are unafraid to show their curiosity, discuss their experiences, ideas, and opportunities. They can also enjoy the humorous aspects of their lives and are comfortable with social or personal assertiveness (Branden, 1992). 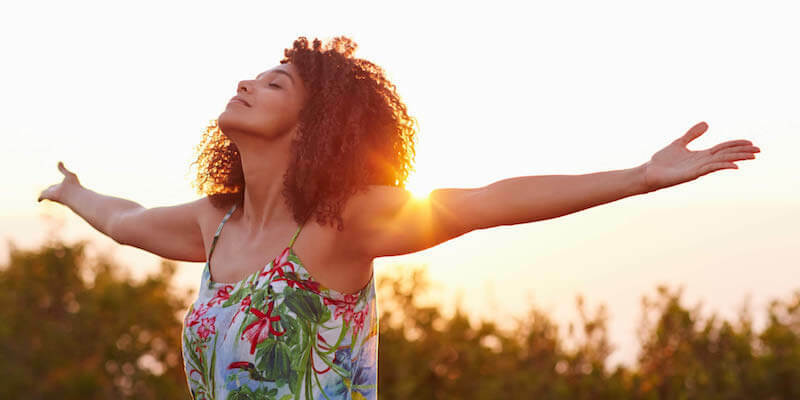 Although low self-esteem has received more attention than high self-esteem, the positive psychology movement has brought high self-esteem into the spotlight. We now know more about what high self-esteem looks like and how it can be cultivated. Appreciate themselves and other people. Enjoy growing as a person and finding fulfillment and meaning in their lives. Are able to dig deep within themselves and be creative. Make their own decisions and conform to what others tell them to be and do only when they agree. See the word in realistic terms, accepting other people the way they are while pushing them toward greater confidence and a more positive direction. Can easily concentrate on solving problems in their lives. Have loving and respectful relationships. Know what their values are and live their lives accordingly. Speak up and tell others their opinions, calmly and kindly, and share their wants and needs with others. Endeavor to make a constructive difference in other people’s lives (Smith & Harte, n.d.). Act assertively without experiencing any guilt, and feel at ease communicating with others. Avoid dwelling on the past and focus on the present moment. Believe you are equal to everyone else, no better and no worse. Reject the attempts of others to manipulate you. Recognize and accept a wide range of feelings, both positive and negative, and share them within your healthy relationships. Enjoy a healthy balance of work, play, and relaxation. Accept challenges and take risks in order to grow, and learn from your mistakes when you fail. Handle criticism without taking it personally, with the knowledge that you are learning and growing and that your worth is not dependent on the opinions of others. Value yourself and communicate well with others, without fear of expressing your likes, dislikes, and feelings. Value others and accept them as they are without trying to change them (Self Esteem Awareness, n.d.). Based on these characteristics, we can come up with some good examples of what high self-esteem looks like. Imagine a high-achieving student who takes a difficult exam and earns a failing grade. If she has high self-esteem, she will likely chalk up her failure to factors like not studying hard enough, a particularly difficult set of questions, or simply having an “off” day. What she doesn’t do is conclude that she must be stupid and that she will probably fail all future tests too. Having a healthy sense of self-esteem guides her toward accepting reality, thinking critically about why she failed, and problem-solving instead of wallowing in self-pity or giving up. For a second example, think about a young man out on a first date. He really likes the young woman he is going out with, so he is eager to make a good impression and connect with her. Over the course of their discussion on the date, he learns that she is motivated and driven by completely different values and has very different taste in almost everything. Instead of going along with her expressed opinions on things, he offers up his own views and isn’t afraid to disagree with her. His high self-esteem makes him stay true to his values and allows him to easily communicate with others, even when they don’t agree. To him, it is more important to behave authentically than to focus on getting his date to like him. It can be hard to really wrap your mind around self-esteem and why it is so important. To help you out, we’ve gathered a list of some of the most significant and relevant findings about self-esteem and low self-esteem in particular. Although some of these facts may make sense to you, you will likely find that at least one or two surprise you—specifically those pertaining to the depth and breadth of low self-esteem in people (and particularly young people and girls). Low self-esteem is linked to violence, school dropout rates, teenage pregnancy, suicide, and low academic achievement (Misetich & Delis-Abrams, 2003). About 44% of girls and 15% of boys in high school are attempting to lose weight (Council on Alcoholism and Drug Abuse, n.d.). Seven in 10 girls believe that they are not good enough or don’t measure up in some way (Dove Self-Esteem Fund, 2008). A girl’s self-esteem is more strongly related to how she views her own body shape and body weight than how much she actually weighs (Dove Self-Esteem Fund, 2008). Nearly all women (90%) want to change at least one aspect of their physical appearance (Confidence Coalition, n.d.). The vast majority (81%) of 10-year old girls are afraid of being fat (Confidence Coalition, n.d.). About one in four college-age women have an eating disorder (Confidence Coalition, n.d.). Only 2% of women think they are beautiful (Confidence Coalition, n.d.). Absent fathers, poverty, and a low-quality home environment have a negative impact on self-esteem (Orth, 2018). Are less critical of themselves and others. Are better able to handle stress and avoid the unhealthy side effects of stress. Are less likely to develop an eating disorder. Are less likely to feel worthless, guilty, and ashamed. Are more likely to be assertive about expressing and getting what they want. Are able to build strong, honest relationships and are more likely to leave unhealthy ones. Are more confident in their ability to make good decisions. Are more resilient and able to bounce back when faced with disappointment, failure, and obstacles (Allegiance Health, 2015). Given the facts on the sad state of self-esteem in society and the positive outcomes associated with high self-esteem, it seems clear that looking into how self-esteem can be built is a worthwhile endeavor. Luckily, there are many researchers who have tackled this topic. Numerous studies have shown us that it is possible to build self-esteem, especially in children and young people. How? There are many ways! Recent research found a correlation between self-esteem and optimism with university students from Brazil (Bastianello, Pacico & Hutz & 2014). One of the most interesting results came from a cross-cultural research on life satisfaction and self-esteem, which was conducted in 31 countries. They found differences in self-esteem between collective and individualistic cultures with self-esteem being lower in collectivist cultures. Expressing personal emotions, attitudes, and cognitive thoughts are highly associated with self-esteem, collectivist cultures seem to have a drop in self-esteem because of a lack of those characteristics (Diener & Diener 1995). China, a collectivist culture, found that self-esteem was a significant predictor of life satisfaction (Chen, Cheung, Bond & Leung, 2006). They found that similar to other collectivist cultures, self-esteem also had an effect on resilience with teenagers. Teenagers with low self-esteem had a higher sense of hopelessness and had low resilience (Karatas, 2011). In more individualistic cultures, teenagers who were taught to depend on their beliefs, behaviors, and felt open to expressing their opinion had more resilience and higher self-esteem (Dumont & Provost, 1999). School-based programs that pair students with mentors and focus on relationships, building, self-esteem enhancements, goal setting, and academic assistance have been proven to enhance students’ self-esteem, improve relationships with others, reduce depression and bullying behaviors (King, Vidourek, Davis, & McClellan, 2009). Similarly, elementary school programs that focus on improving self-esteem through short, classroom-based sessions also have a positive impact on students’ self-esteem, as well as reducing problem behaviors and strengthening connections between peers (Park & Park, 2014). However, the potential to boost your self-esteem and reap the benefits is not limited to students! Adults can get in on this endeavor as well, although the onus will be on them to make the changes necessary. Use distancing pronouns. When you are experiencing stress or negative self-talk, try putting it in more distant terms (e.g., instead of saying “I am feeling ashamed,” try saying “Courtney is feeling ashamed.”). This can help you to see the situation as a challenge rather than a threat. Remind yourself of your achievements. 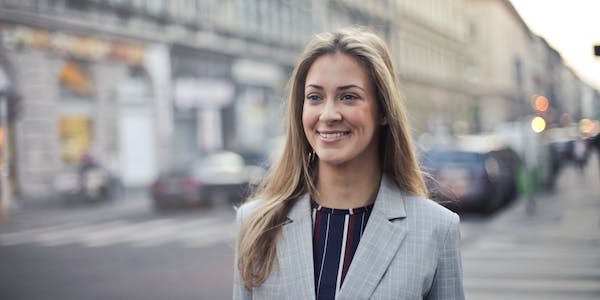 The best way to overcome imposter syndrome—the belief that, despite all of your accomplishments, you are a failure and a fraud—is to list all of your personal successes. You might be able to explain a couple of them away as a chance, but they can’t all be due to luck! Move more! This can be as simple as a short walk or as intense as a several-mile run, as quick as striking a “power pose” or as long as a two-hour yoga session; it doesn’t matter exactly what you do, just that you get more in touch with your body and improve both your health and your confidence. Use the “five-second” rule. No, not the one about food that is dropped on the ground! This five-second rule is about following up good thoughts and inspiring ideas with action. Do something to make that great idea happen within five seconds. Practice visualizing your success. Close your eyes and take a few minutes to imagine the scenario in which you have reached your goals, using all five senses and paying attention to the details. Be prepared—for whatever situation you are about to encounter. If you are going into a job interview, make sure you have practiced, know about the company, and have some good questions ready to ask. If you are going on a date, take some time to boost your confidence, dress well, and have a plan A and a plan B (and maybe even a plan C!) to make sure it goes well. Limit your usage of social media. Spend less time looking at a screen and more time experiencing the world around you. Meditate. Establish a regular meditation practice to inspect your thoughts, observe them, and separate yourself from them. Cultivating a sense of inner peace will go a long way towards developing healthy self-esteem. Keep your goals a secret. You don’t need to keep all of your hopes and dreams to yourself, but make sure you save some of your goal striving and success for just you—it can make you more likely to meet them and also more satisfied when you do. Practice affirmations (like the ones listed later in this piece). Make time to regularly say positive things about yourself and situations in which you often feel uncertain. Build your confidence through failure. Use failure as an opportunity to learn and grow, and seek out failure by trying new things and taking calculated risks (Laurinavicius, 2017). Now that we have a good idea of how to improve self-esteem, there is an important caveat to the topic: many of the characteristics and factors that we believe result from self-esteem may also influence one’s sense of self-esteem, and vice versa. For example, although we recommend improving self-esteem to positively impact grades or work performance, success in these areas is at least somewhat dependent on self-esteem as well. Similarly, those who have a healthy level of self-esteem are more likely to have positive relationships, but those with positive relationships are also more likely to have healthy self-esteem, likely because the relationship works in both directions. While there is nothing wrong with boosting your self-esteem, keep in mind that in some cases you may be putting the cart before the horse, and commit to developing yourself in several areas rather than just working on enhancing your self-esteem. Based on research like that described above, we have learned that there are many ways therapy and counseling can help clients to improve their self-esteem. If done correctly, therapy can be an excellent method of enhancing self-esteem, especially if it’s low to begin with. When a client shares their inner thoughts and feelings with the therapist, and the therapist responds with acceptance and compassion rather than judgment or correction, this can build the foundations of healthy self-esteem for the client. The therapist can explain that self-esteem is a belief rather than a fact and that beliefs are based on our experiences; this can help the client understand that he could be exactly the same person as he is right now and have high self-esteem instead of low, if he had different experiences that cultivated a sense of high self-esteem instead of low self-esteem. The therapist can offer the client new experiences upon which to base this new belief about herself, experiences in which the client is “basically acceptable” instead of “basically wrong.” The therapist’s acceptance of the client can act as a model for the client of how she can accept herself. Most importantly, the therapist can accept the client for who he is and affirm his thoughts and feelings as acceptable rather than criticizing him for them. The therapist does not need to approve of each and every action taken by the client, but showing acceptance and approval of who he is at the deepest level will have an extremely positive impact on his own belief in his worth and value as a person (Gilbertson, 2016). Following these guidelines will encourage your client to develop a better sense of self-love, self-worth, self-acceptance, and self-esteem, as well as discouraging “needless shame” and learning how to separate herself from her behavior (Gilbertson, 2016). Besides clinical interventions, there are also things people can do on their own to boost their self-esteem. One of these methods is meditation—yes, you can add yet another benefit of meditation to the list! However, not only can we develop self-esteem through meditation, we also gain some other important benefits. When we meditate, we cultivate our ability to let go and to keep our thoughts and feelings in perspective. We learn to simply observe instead of actively participate in every little experience that pops into our head. In other words, we are “loosening the grip we have on our sense of self” (Puddicombe, 2015). While this may sound counterintuitive to developing and maintaining a positive sense of self, it is actually a great way to approach it. Through meditation, we gain the ability to become aware of our inner experiences without over-identifying with them, letting our thoughts pass by without judgment or a strong emotional response. As meditation expert Andy Puddicombe notes, low self-esteem can be understood as the result of over-identification with the self. When we get overly wrapped up in our sense of self, whether that occurs with a focus on the positive (I’m the BEST) or the negative (I’m the WORST), we place too much importance on it. We may even get obsessive about the self, going over every little word, thought, or feeling that enters our mind. A regular meditation practice can boost your self-esteem by helping you to let go of your preoccupation with your self, freeing you from being controlled by the thoughts and feelings your self-experiences. When you have the ability to step back and observe a disturbing or self-deprecating thought, it suddenly doesn’t have as much power over you as it used to; this deidentification with the negative thoughts you have about yourself results in less negative talk over time and freedom from your overly critical inner voice (Puddicombe, 2015). Lack of consensus on the definition (Demo, 1985). Overall gender differences in self-esteem (Bingham, 1983). Too many instruments for assessing self-esteem, and low correlations between them (Demo, 1985). The unexplained variance between self-reports and inferred measures such as ratings by others (Demo, 1985). Although these issues are certainly not unique to the measurement of self-esteem, one should approach the assessment of self-esteem with multiple measurement methods in hand, with the appropriate level of caution, or both. Still, even though there are various issues with the measurement of self-esteem, avoiding the measurement is not an option! If you are looking to measure self-esteem and worried about finding a validated scale, look no further than one of the foundations of self-esteem research: Rosenberg’s scale. The most common scale of self-esteem is Rosenberg’s Self-Esteem Scale (also called the RSE and sometimes the SES). This scale was developed by Rosenberg and presented in his 1965 book Society and the Adolescent Self-Image. It contains 10 items rated on a scale from 1 (strongly agree) to 4 (strongly disagree). Some of the items are reverse-scored, and the total score can be calculated by summing up the total points for an overall measure of self-esteem (although it can also be scored in a different, more complex manner—see page 61 of this PDF for instructions). 2. At times I think I am no good at all. 7. I feel that I’m a person of worth. 9. All in all, I am inclined to think that I am a failure. As you likely figured out already, items 2, 5, 6, 8, and 9 are reverse-scored, while the other items are scored normally. This creates a single score of between 10 and 40 points, with lower scores indicating higher self-esteem. Put another way, higher scores indicate a strong sense of low self-esteem. The scale is considered highly consistent and reliable, and scores correlate highly with other measures of self-esteem and negatively with measures of depression and anxiety. It has been used by thousands of researchers throughout the years and is still in use today, making it one of the most-cited scales ever developed. The second most commonly used reliable and valid measure for self-esteem is The Coopersmith Self-Esteem Inventory. Within this test, 50 items are included to measure the test-takes attitudes towards themselves, by responding to statements with the selection of “like me” or “not like me” (Robinson, Shaver & Wrightsman, 2010). Initially created to test the self-esteem of children, it was later altered by Ryden (1978) and now two separate versions exist; one for children and one for adults. Find out more about taking this test here. It might be quicker to list what factors don’t influence self-esteem than to identify which factors do influence it! As you might expect, self-esteem is a complex construct and there are many factors that contribute to it, whether positively or negatively. Commitment to the worker, spouse, and parental role are positively linked to self-esteem (Reitzes & Mutran, 1994). Worker identity meaning is positively related to self-esteem (Reitzes & Mutran, 2006). Being married and older is linked to lower self-esteem (Reitzes & Mutran, 2006). Higher education and higher income are related to higher self-esteem (Reitzes & Mutran, 2006). Low socioeconomic status and low self-esteem are related (von Soest, Wagner, Hansen, & Gerstorf, 2018). Living alone (without a significant other) is linked to low self-esteem (van Soest et al., 2018). Unemployment and disability contribute to lower self-esteem (van Soest et al., 2018). A more mature personality and emotional stability are linked to higher self-esteem (van Soest et al., 2018). Social norms (the importance of friends’ and family members’ opinions) about one’s body and exercise habits are negatively linked to self-esteem, while exercise self-efficacy and self-fulfillment are positively linked to self-esteem (Chang & Suttikun, 2017). If you’re thinking that an important technological factor is missing, go on to the next section and see if you’re right! Although you may have found some of the findings on self-esteem covered earlier surprising, you will most likely expect this one: studies suggest that social media usage negatively impacts self-esteem (Friedlander, 2016). This effect is easy to understand. Humans are social creatures and need interaction with others to stay healthy and happy; however, we also use those around us as comparisons to measure and track our own progress in work, relationships, and life in general. Social media makes these comparisons easier than ever, but they give this tendency to compare a dark twist. What we see on Facebook, Instagram, and Twitter is not representative of real life. It is often carefully curated and painstakingly presented to give the best possible impression. We rarely see the sadness, the failure, and the disappointment that accompanies everyday human life; instead, we see a perfect picture, a timeline full of only good news, and short blurbs about achievements, accomplishments, and happiness. Although this social comparison with unattainable standards is clearly a bad habit to get into, social media is not necessarily a death knell for your self-esteem. Moderate social media usage complemented by frequent self-reminders that we are often only seeing the very best in others can allow us to use social media posts as inspiration and motivation rather than unhealthy comparison. You don’t need to give up social media for good in order to maintain a healthy sense of self-esteem—just use it mindfully and keep it in the right perspective! By viewing self-esteem as a muscle to grow we establish a world of new opportunities. No longer do we have to view ourselves in the same light. 10. Create a positive self-dialogue. Influential American author, Jack Canfield explains “Daily affirmations are to the mind what exercise is to the body.” (watch this YouTube clip). I am competent, smart, and able. I acknowledge my own self-worth; my self-confidence is rising. The affirmations should be in the present tense. They must affirm your value and worth right here, right now (e.g., not “I will do better tomorrow” but “I am doing great today.”). The affirmations should be positively worded. They should not deny or reject anything (i.e., “I am not a loser.”), but make a firm statement (e.g., “I am a worthy person.”). The affirmations should make you feel good and put you in a positive light. They should not be empty words and they should be relevant to your life (e.g., “I am a world-class skier” is relevant if you ski, but is not a good affirmation if you don’t ski.). Use these three rules to put together some positive, uplifting, and encouraging affirmations that you can repeat as often as needed—but aim for at least once a day. Plus, here’s a bonus—a free PDF version of Nathaniel Branden’s The Psychology of Self-Esteem: A Revolutionary Approach to Self-Understanding That Launched a New Era in Modern Psychology. If reading is not a preferred method of learning more, fear not! There are some great YouTube videos and TED Talks on self-esteem. A few of the most popular and most impactful are included here. Another great TEDx Talk comes from the founder of the Girls for Change organization, Niko Everett. In this talk, she goes over the power of self-knowledge, self-acceptance, and self-love. She highlights the importance of the thoughts we have about ourselves and the impact they have on our self-esteem and shares some techniques to help both children and adults enhance their self-esteem. This video from Leo Gura at Actualized.org defines self-esteem, describes the elements of self-esteem, and the factors that influence self-esteem. He shares why self-esteem is important and how it can be developed and enhanced. Be aware of your daily activities and relationship with others, insecure reflections, and also personal priorities. This includes becoming aware and accepting the best and the worst parts of you and also the disowned parts of ourselves. This implies realizing that you are responsible for your choices and actions. Act through your real convictions and feelings as much as possible. 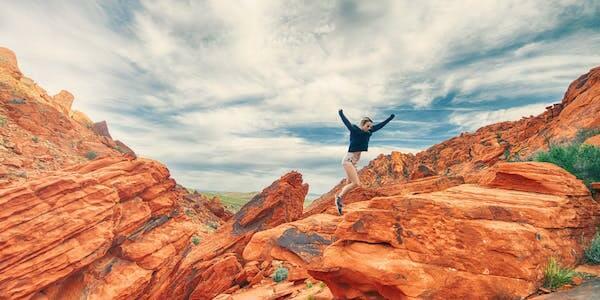 Achieve personal goals that energize your existence. Don’t compensate your ideals, beliefs, and behaviors for a result that leads to incongruence. When your behaviors are congruent with your ideals, integrity will appear. 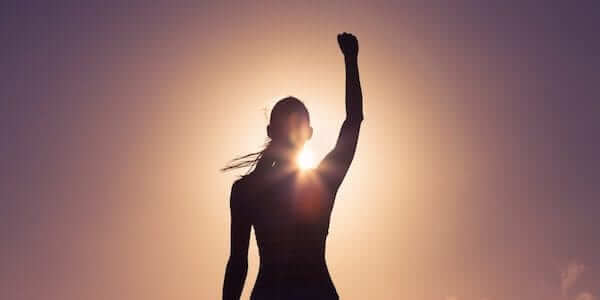 The speaker provides a definition and example of each of the six pillars and finishes the video by emphasizing the first two words of each pillar: “The Practice.” These words highlight that the effort applied to building self-esteem is, in fact, the most important factor in developing self-esteem. Sometimes all you need to get to work on bettering yourself is an inspirational quote. The value of quotes is subjective, so these may not all resonate with you, but hopefully, you will find that at least one or two lights that spark within you! We hope you enjoyed this opportunity to learn about self-esteem! If you take only one important lesson away from this piece, make sure it’s this one: you absolutely can build your own self-esteem, and you can have a big impact on the self-esteem of those you love. Self-esteem is not a panacea—it will not fix all of your problems or help you sail smoothly through a life free of struggle and suffering—but it will help you find the courage to try new things, build the resilience to bounce back from failure, and make you more susceptible to success. It is something we have to continually work towards, but it’s absolutely achievable. Keep aware of your internal thoughts and external surroundings. Keep focused on your personal goals and all that is possible when self-doubt isn’t holding you back. What are your thoughts on self-esteem in psychology? Should we be encouraging it more? Less? Is there an “ideal amount” of self-esteem? We’d love to hear from you! Leave your thoughts in the comments below. You can read more about self-esteem worksheets and exercises for adults and teens here. Branden, N. (1992). The power of self-esteem. Deerfield Beach, Flo. : Health Communications. Branden, N. (2013). What Self-Esteem Is and Is Not. Retrieved October 18, 2015, from http://www.nathanielbranden.com/what-self-esteem-is-and-is-not. Chen, S. X., Cheung, F. M., Bond, M. H., & Leung, J. (2006). Going beyond self-esteem to predict life satisfaction: The Chinese case. Asian Journal of Social Psychology. 9, 24-35. Council on Alcoholism and Drug Abuse. (n.d.). Image and Self Esteem. Mentor Resource Center. Retrieved from http://mentor-center.org/image-and-self-esteem/. Davis, W., Gfeller, K., & Thaut, M. (2008). An introduction to music therapy. Silver Spring, Md. : American Music Therapy Association. Diener, E. & Diener, M. (1995). Cross-cultural correlates of life satisfaction and self-esteem. Journal of Personality and Social Psychology, 68, 653–663. Purkey, W. (1988). An overview of self-concept theory for counselors. ERIC Clearinghouse on Counseling and Personnel Services, Ann Arbor, Mich. (An ERIC/CAPS Digest: ED304630). Rosenberg, M. (1965). Society and the adolescent self-image. Princeton, NJ, US: Princeton University Press. Wow. Awesome article. It cleared all my doubts about self esteem. Thank you. Another perspective that would be useful is how one’s esteem affects their ability to forgive. I do agree that Self-esteem has a tremendous impact especially when you have comparing, abusive parents. “Self-esteem plays an important role in living a flourishing life. Believing in yourself and accepting yourself for who you are is an important factor to be happy in life” Powerful and very encouraging words! That feels a bit too much like some generic self-help stuff. You guys make it seem like self-esteem is the answer to almost every mental problem and a necessary synonymous of having a healthy mind. It gets tautological. I really don’t think that such an umbrella term should be presented as this great answer, especially when many psychologists would argue about how self-esteem works and some actually dislike the term and don’t consider self-esteem to be a healthy thing to focus on. You can also have a look at my blog on self esteem. I agree with you. Dr Seligman is confusing Self-Esteem with something else, perhaps happiness. To paraphrase his final sentence …….when you are doing well in play, the meter will register high. When you are doing badly, it will still register high. Hello Imran, glad it could be helpful to you. Thanks for stopping by. What a nice name. Thank you so much for your comment about the article. Yes is very useful! We would love to know if you are putting it in practice and how is it going. You can share it also with you loved ones too.